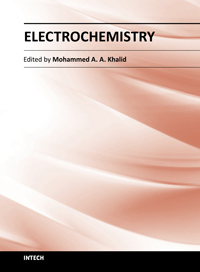 Electrochemistry has been undergoing significant transformations in the last few decades. It is now the province of academics interested only in measuring thermodynamic properties of solutions and of . . . . . Contents: ATOMIC AND ELECTRONIC STRUCTURE; CHEMICAL BONDING; BONDING IN METALS, SEMICONDUCTORS AND INSULATORS – BAND STRUCTURE; THE NATURE OF CRYSTALLINE SOLIDS; X-RAYS AND X-RAY DIFFRACTION; THE IMP . . . . . Contents: Introduction to computational quantum chemistry; Basic Principles of quantum mechanics; Basis functions in quantum chemistry; An Introduction to Hartree Fock Theory; n Introduction to Config . . . . . Contents: Section I reviews the new concepts and applications of nanotechnology for catal- ysis. Chapter 1 provides an overview on how nanotechnology impacts catalyst prepa- ration with more control . . . . . Contents: Atoms and Photons: Origin of the Quantum Theory; Waves and Particles; Quantum Mechanics of Some Simple Systems; Principles of Quantum Mechanics; Harmonic Oscillator; Angular Momentum; Hy . . . . . Contents:Grand Challenges in Catalysis as a Multidisciplinary Science and Technology; Advanced Catalysts for the Conversion of Heavy Fossil Energy Feedstocks; Advanced Catalysts for the Photo- and E . . . . . 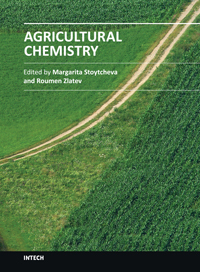 The present book is a collection of ten original research articles and reports, associated with selected topics in agricultural chemistry. The discussed issues are organized in four sections: Classifi . . . . .
La Combinatoria Molecular es un conjunto de tecnologías dentro de las que se encuentran la Química y la Biología combinatoria, la Proteómica , la Genómica, las Bibliotecas Virtuales y los Métodos de t . . . . . Worked examples in the Geometry of Crystals, the 2nd edition, published in 2001 (updated 2006), is now available for free download from this site. The book deals with the mathematical crystallography . . . . . Contents: A Brief Review of Elementary Quantum Chemistry; Computational Quantum Chemistry; An Introduction to Electronic Structure Theory; Atomic Term Symbols; Term Symbol Example; Elementary Linear . 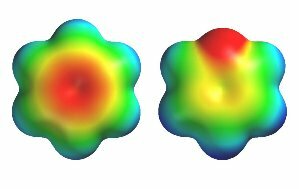 . . . .
An Introduction to the Analysis of Spin-Spin Splitting in High-Resolution Nuclear Magnetic Resonance Spectra. The purpose of this book is to show that the path to making practical calculations of spin . . . . . This book covers material that could be included in a one-quarter or one-semester course in bioinorganic chemistry for graduate students and advanced undergraduate students in chemistry or biochemistr . . . . . This Data Book contains a selection of information and data which is relevant to the Chemistry Courses at York.